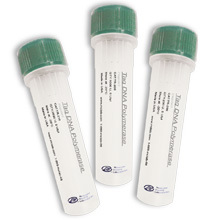 Most attempts to identify and isolate a novel cDNA result in the acquisition of clones that represent only a part of the mRNAs complete sequence. 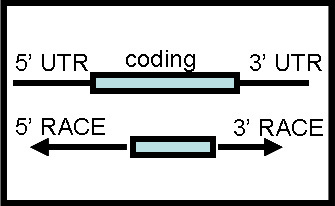 The missing sequence (cDNA ends) can be cloned by PCR using a technique called Rapid Amplification of CDNA Ends (RACE). MCLAB has developed significant improvements on the classic and basic approach on RACE Cloning and has a more powerful new RACE protocol. 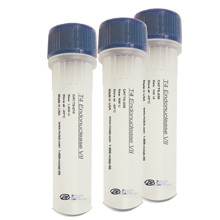 Why Choose MCLABs RACE cloning service instead of screening cDNA libraries? 1. 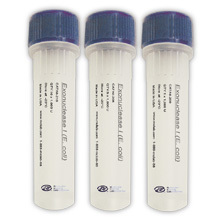 Saving time: It takes weeks to screen cDNA libraries, obtain individual cDNA clones, and analyze the clones to determine whether the missing sequence is present. Using MCLABs RACE cloning service, such information can be generated within a few days. 2. Convenience: Unlimited numbers of independent clones can be generated using MCLABs RACE cloning service, unlike library screens in which generally a single to a few cDNA clones are recovered. The availability of large numbers of clones provides confirmation of nucleotide sequence and allows the isolation of unusual transcripts that are alternately spliced or that begin at infrequently used promoters. 3. Technology: We have proprietary reverse transcriptional, PCR and DNA sequencing technologies to solve the most difficult and rare genes.